The pilot in the crash that killed two Texas newlyweds has been identified as Captain Gerald Douglas Lawrence, 76, of Houston. 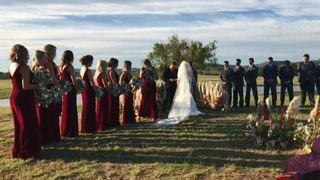 A video shows the moment he took off from the reception of Will and Bailee Byler’s wedding reception in a helicopter hours after the couple exchanged vows. Cheers could be heard from the crowd of family and friends as they took off. No one could predict the moments that followed. Minutes after takeoff, the helicopter went down in Uvalde, killing everyone on board in the early morning hours on Sunday, according to the Houstonian, a student newspaper at Sam Houston University. The newlyweds were both in their senior year at the university, according to the Houstonian. 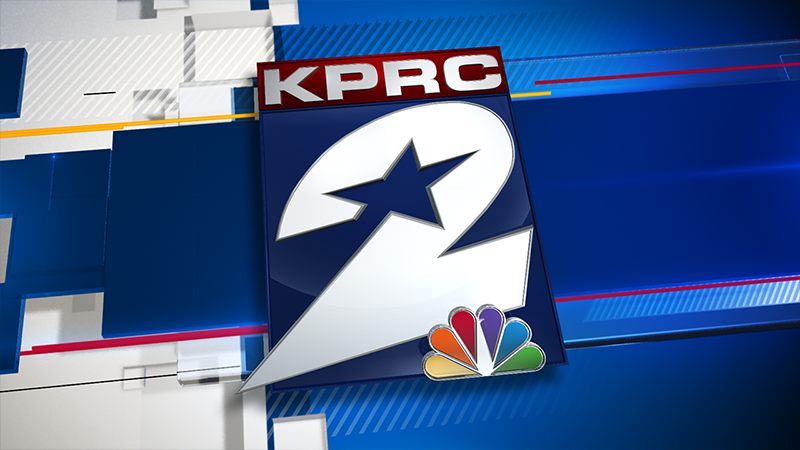 KPRC2 spoke with students on the campus of Sam Houston State University. They were devastated to hear the news that two of their own were killed leaving their wedding reception early Sunday morning. A photo of the crash scene is below. An official said the white spot at the top of the photo is the helicopter. "To meet your soulmate here at school and to lose all of that, that's just heartbreaking," said student Amanda Rincon Morales. Will and Bailee Byler were part of the Sam Houston State Rodeo Club. Bailee was expected to graduate in December and Will was set to graduate in May. Family and friends took to social media to share touching tributes to the couple, describing how they could not stop laughing and giggling about the new chapter of their lives. According to loved ones, Will and Bailee spent their last day celebrating their love for each other. W.T. Byler, a company owned by the groom's father, released a statement saying, "At this time we request that your thoughts and prayers go out to the families involved." William Byler is from Bellville and attended Faith Academy of Bellville that his family helped open. President of the Austin County Fair Association told KPRC Byler and his family were heavily involved in the rodeo. “He was big into the rodeo with his grandfather and father. Just the whole Byler family when it comes to the rodeo they are all involved with it,” Winkelmann said. Their wedding was on the Byler family ranch in Uvalde, just outside San Antonio. The Uvalde County Sheriff's Office told KSAT News it received a call from an aviation monitoring center about a possible downed aircraft in northwest Uvalde around midnight. 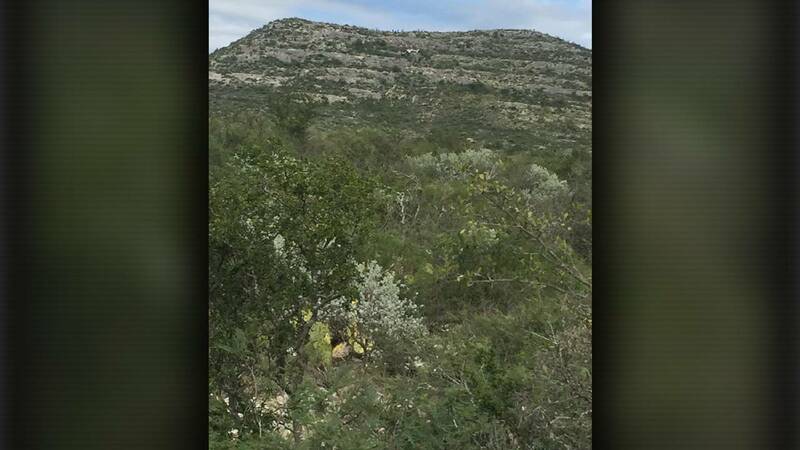 According to KSAT, Texas Department of Public Safety troopers, game wardens, Border Patrol agents, the Uvalde Volunteer Fire Department and Uvalde Emergency Medical Services arrived in the area of Chalk Bluff Park off of Highway 55 to help search for the helicopter. The wedding ceremony of Will Byler and Bailee Ackerman. Will Byler and Bailee Ackerman, and their helicopter taking off before the fatal crash. Authorities located the crashed helicopter around daybreak, according to reports. The San Antonio Fire Department deployed 10 members of its technical rescue team to assist the Federal Aviation Administration with the investigation, but they returned to San Antonio on Sunday night, according to KSAT news. The National Transportation Safety Board said in a tweet Sunday morning that the helicopter involved was a Bell 206B. "As you can imagine in this extremely difficult situation, especially with it being so sudden and out of the blue. We’re doing the best we can. Just really staying close to family and providing comfort the best way we can," Devon Lawrence, Gerald's daughter, said. "My dad has always been a helicopter pilot. He served two tours in Vietnam and he volunteered and did a couple missions in the Gulf War. His passion was being a helicopter pilot." 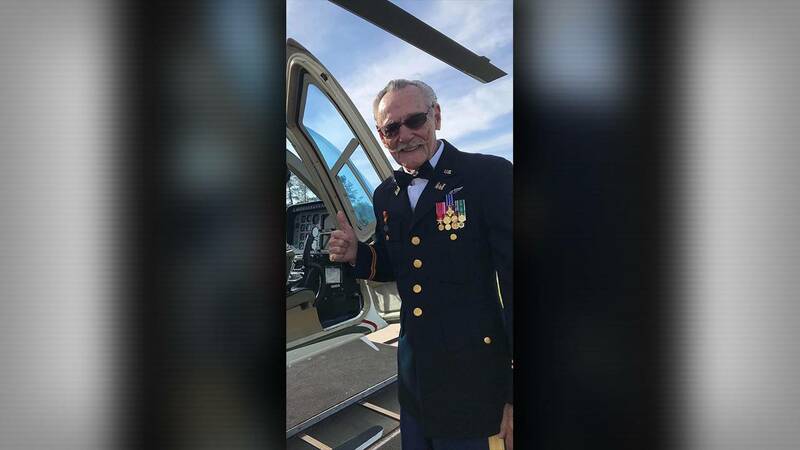 An undated photo of Captain Gerald Douglas Lawrence, who was killed in a helicopter crash on Nov. 4, 2018. The cause of the crash is unknown, but the NTSB is investigating.